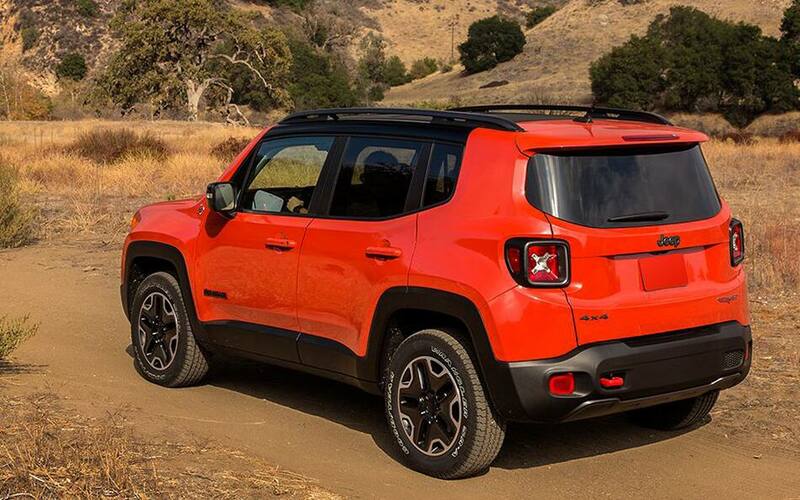 The Renegade is a four door sport SUV that bring the best-in-class features and package group features. The segment comes in up to four different trim models to select from that makes it the SUV worth the purchase such as the Limited, the Latitude, the Sport and the Trailhawk. The Renegade brings the best to its power and performance when it heads off-road and its exterior and interior features help make the ride smoother. 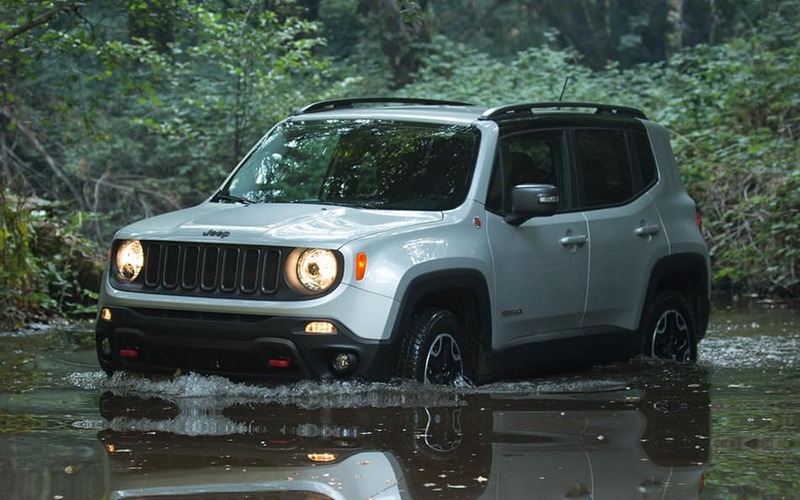 The 2016 Jeep Renegade is the perfect SUV to own with its Trail Rated Tough Seal of Approval. Under the Renegades hood comes some of the best power features with engines and transmissions. One of the offered engines featured is the 1.4-liter Turbocharged Multiair engine, which is constructed with cast-iron blocks with aluminum-alloy head and aluminum alloy bedplates. The engine also comes packed with in-line four cylinder with liquid cooled and offers a C635 six-speed manual transmission to give the best power with 160 horsepower @ 5,500 RPM and torque pressure of 184 ft-lbs @ 2,500-4,000 RPM and can pull a maximum tow of up to 2,000lbs. For its fuel economy the SUV's 12.7-gallon tank offers the best combined 27-MPG (24-city/31-highway) on a total range of 305-city/394-highway total miles. For the performance, the Renegade brings the best features with its precision tuned system that gives the best ride and handling with its stiff body frame that was constructed with70 percent high strength steel, magnesium and aluminum that combines with a responsive steering system and an KONI frequency selective damping front and rear strut system that adds to a amazing performance. The Renegade is the best when it comes to its interior and exterior features that compliments to its off-road capabilities, with the Renegade Trailhawk, the Renegade means business. The Trailhawk trim model offers the best exterior features with, standard jeep active drive low with 20:1 crawl ratio, selec-terrain system with exclusive rock mode, increased ride height 0.8 inches to 8.7 inches of ground clearance, skid plates, and signature red front and rear tow hooksUnique fascias deliver 30.5-degree approach, 25.7-degree break over and 34.3-degree departure angles, unique 17-inch wheels with aggressive on-road and off-road tires, up to 8.1 inches of wheel articulation, Hill-descent Control, and up to 19 inches of water fording. With the interior, the segment offers five passenger seating with 40/20/40 rear seat folding with trunk pass thru adding leather trimmed bucket seats. A 7-inch TFT cluster color display is installed with state of the art technology with its signature Uconnect Access System such as Bluetooth, and SiriusXM. Where is East Hills Chrysler Jeep Dodge RAM located? We are located at �2300 Northern Blvd. Greenvale, NY 11548 Click here for Directions! Head to out Tire Center to see how we can best suite your vehicle! Tire Center! What other Jeep vehicles do you currently offer? We currently offer the 2016 Jeep Wrangler and the 2016 Jeep Patriot! 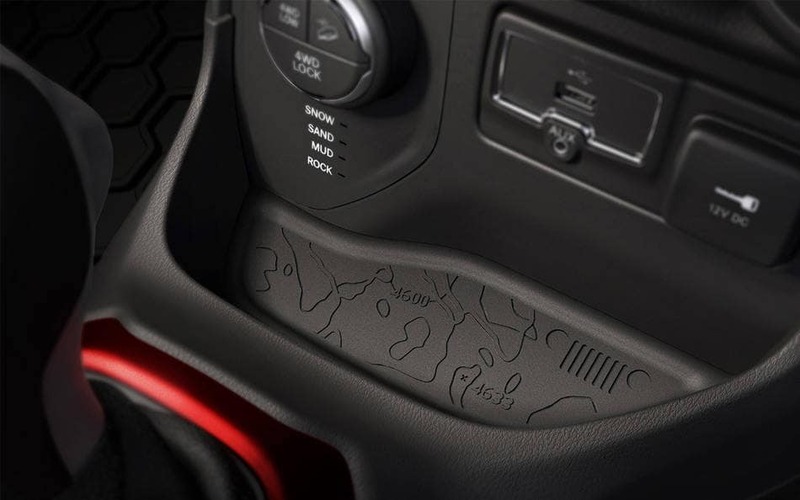 Jeep deeply cares about the safety of its drivers and passengers, and with up to 70 selective safety and security features it makes it worth the purchase. Offering standard airbags, with Parkview rear backup camera, blind spot monitoring, lane-sense departure warning, rear cross-path detection, and plenty of other safety and security features. The Jeep Renegade is the SUV you'll want to have in 2016 with its best-in-class features that makes it worthy of its Trail Rated Tough Seal of Approval.